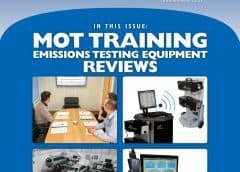 MOT Testing Magazine Online > MOT Industry Blogs > MOT Industry > A ‘service’ and an MOT – is there a difference? Theoretically vehicle servicing should ensure the vehicle is maintained in accordance with the manufacturers’ recommendations. 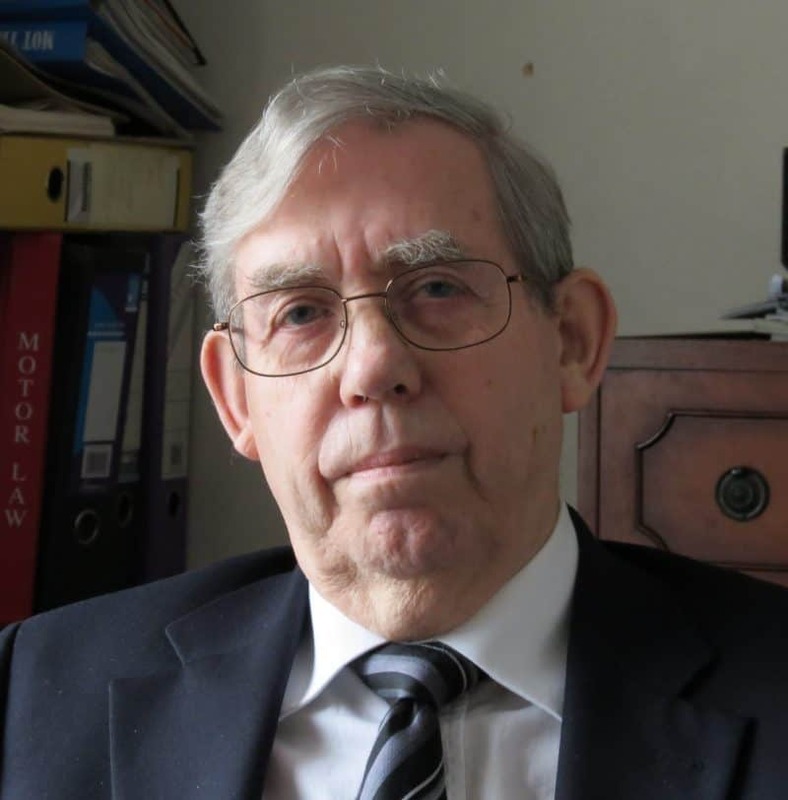 But it’s not that simple, the definition of a ‘service’ varies from one manufacturer to another, and when vehicles fall out of warranty and become serviced in the independent sector, what comprises ‘a service’ becomes very uncertain indeed. It’s then largely dependent on what individual independent garages offer to their customers, and how they ‘pitch’ their advertising. For example, there’s a ‘short’ service – probably a simple cursory inspection and fluid check; an, ‘engine’ service – changing the plugs (petrol engine) oil and filter and that’s it; and, a ‘full’ service where the brakes are dismantled and checked as well as a host of other items. Garages’ advertising offers, however, often only refer to a ‘service’. 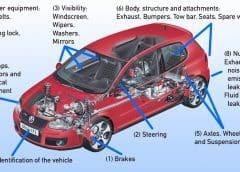 Few motorists know what these terms mean, what’s being done to their car, and will have no idea that even a ‘full’ service still doesn’t include as many components as are checked during an MOT inspection – but, and this is the key point, most will assume that it is. Then there are those baffling, ‘special’ offers? “Service and MOT £50 all included…” How can they do that? We called one such local MOT garage with just such an offer. We said we’d got a BMW 5 series, and could they confirm that fifty quid price. “Well, no”, came the answer, “that doesn’t apply because your BMW has six cylinders…”, and probably, if you ask further you’ll find that the advert only offers a rudimentary check of fluids and tyre pressures. 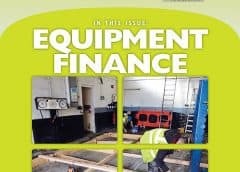 A ‘proper’ full service on that BMW will actually cost well over two hundred pounds (even more at a dealership); “that’s if we don’t find anything wrong with the brakes, guv”. Such practices, called ‘switch selling’, are wrong and are illegal, although it’s difficult to prove. 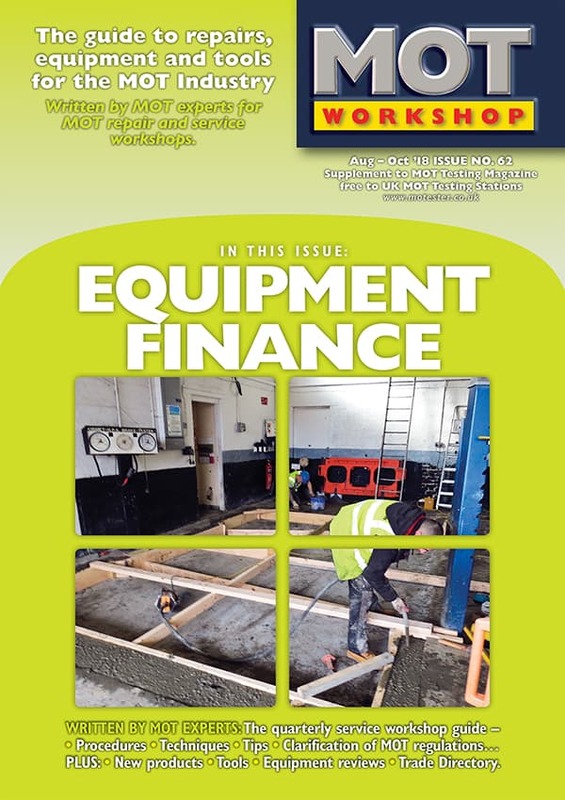 A key element in operating any vehicle repair and service business is to make sure customers know exactly what they are going to get for their money before you even lay a spanner on the car. 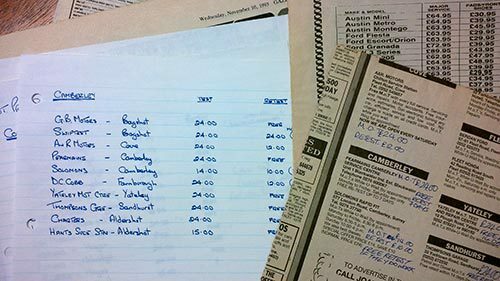 It’s not rocket science – it’s about making sure that you are providing what customers are expecting at a price they expect to pay – in short, ‘meeting customers’ expectations’. Customer quality isn’t only about what happens inside the garage’s workshop, it also turns on the conversation at the reception desk when the car is booked in. 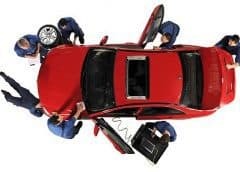 Doing a good job is vital, but if your mechanics do the best job in the world, it won’t be good enough if the work done is less than the customer is expecting – and this applies especially if you are carrying out a ‘Service’, together with an MOT Test. Brakes dismantled, brake pads and/or brake shoes examined and replaced as needed, as well as other parts of the braking system, but at extra cost to the customer. 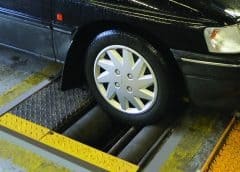 Tyres checked for wear, but not necessarily to MOT standard as non-MOT Testing Stations may not have the necessary tread depth gauge or be fully conversant with the regulations (they can rely on the tyre’s ‘wear bars’) – tyre pressure will also be checked. Brake fluid level checked – and perhaps the fluid checked for quality, depending on the mileage or age of the vehicle. Oil and air filters replaced as needed. Other filters changed – petrol filter, engine air filter and the pollen filter (if applicable). All fluid levels checked and topped up together with checking the anti-freeze strength in the cooling system. 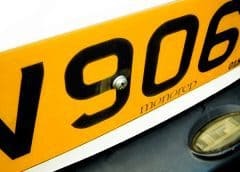 On more modern vehicles, the ‘service light’ re-set as required. Spare wheel condition and inflation pressure checked. During a service, items are replaced if considered to be worn to an extent that they would require replacement in the relatively near future – say three to six months. 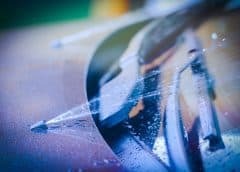 For many components this is a subjective judgement of the mechanic doing the work, although in some cases, brake disc thickness for example, a set ‘service standard’ might apply. This would not apply during an MOT check – the condition then is ‘at the time of Test’. So how does an MOT check compare with a ‘service’? A ‘Full service’ – both less than, and more than an MOT. 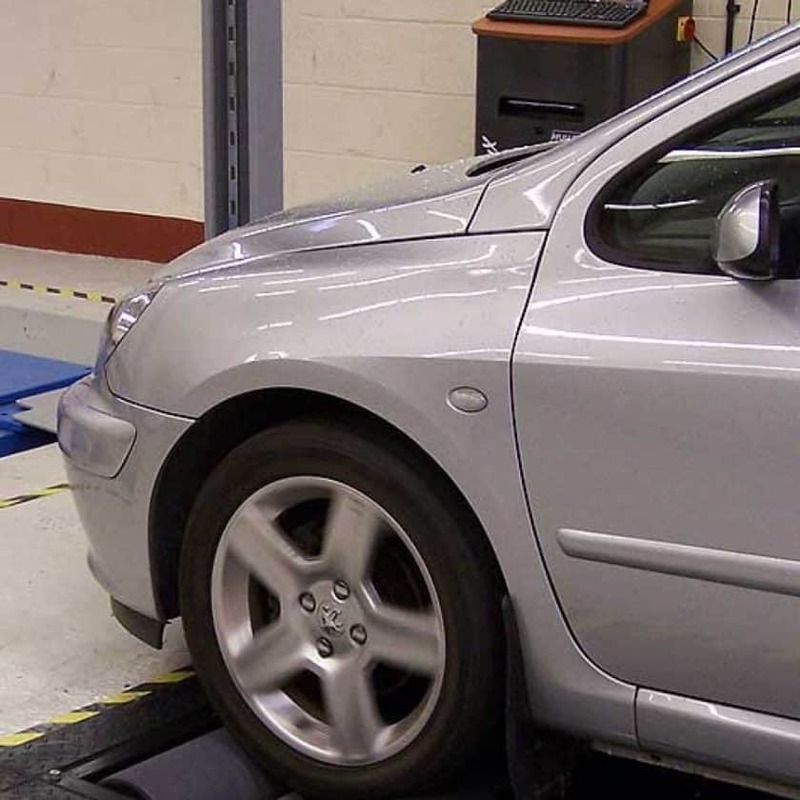 Brake performance measured on a ‘roller brake test’ machine – although in most cases if a road test is done ‘post service’ most problems detected on roller brake test equipment should be picked up. Driver’s view of the road – ie windscreen condition and any items obstructing the drivers view. 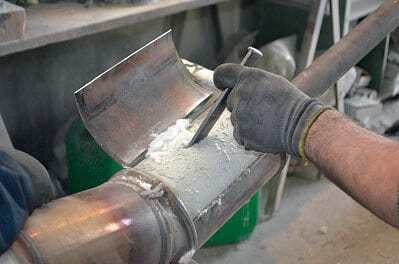 Emissions check (including exhaust), although a blowing exhaust would probably be identified during a service. 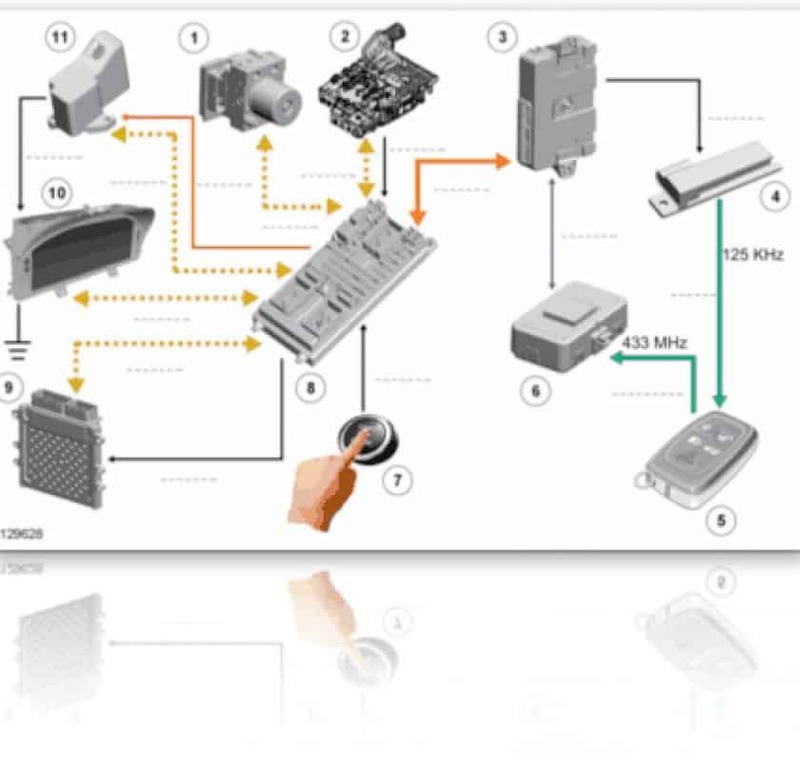 Condition and security of seats. Tow bar electrics (if fitted). **Items with potentially serious road safety consequences should they be defective. It should be noted that some of these items may, in fact, be picked up during a full service when the vehicle is road tested – eg a loose driver’s seat – but not necessarily inspected to an ‘MOT standard’, unless the mechanic doing the work is also an MOT Tester. 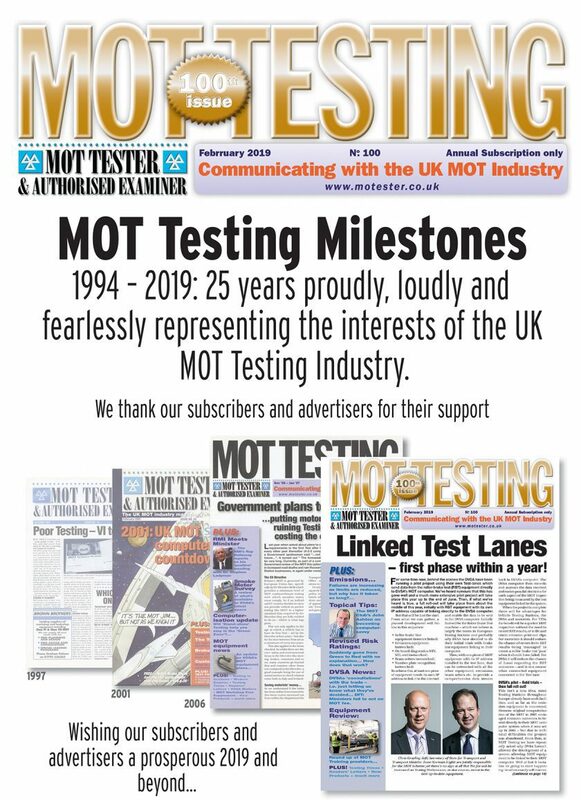 Although in road safety terms at the time of the MOT Test the inspection conducted is more comprehensive than a service, that’s only half of the picture. In another key respect, a service is better than an MOT inspection. 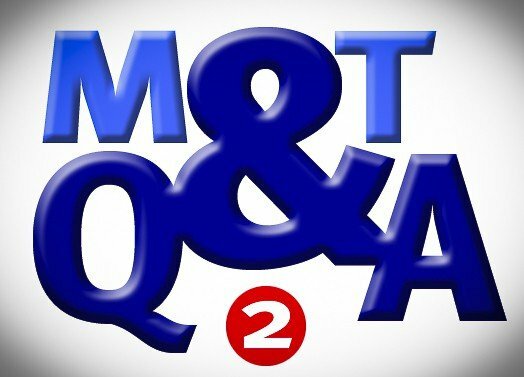 During an MOT, Testers only inspect an item as to whether or not it is safe then and there – ‘on the day of the Test’. Yet during a service inspection, the technician is looking at whether or not those brake pads, tyres or any other ‘wearing’ item will be safe until the next service – a quite different criteria altogether. Thin brake pads, but thicker than the ‘MOT minimum’ would be replaced, as would tyres with asymmetric wear, and the steering ‘tracking’ checked at the same time. This is where the MOT advisories come in. 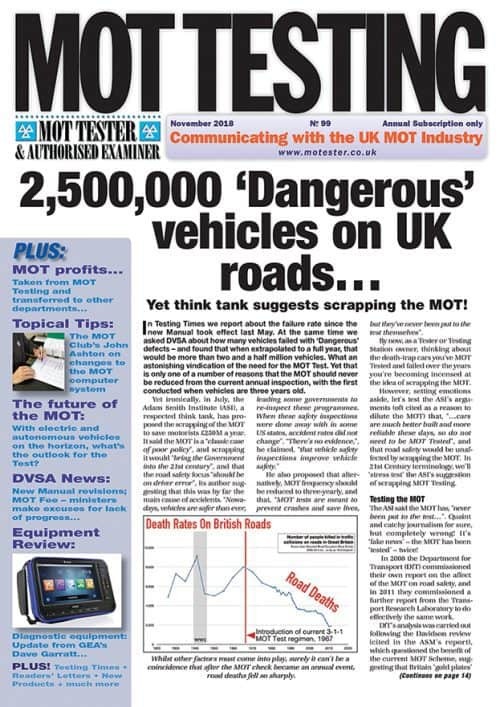 They bridge the gap between an MOT and a service and inform the motorist that whilst the car is safe – ‘on the day’, it could become ‘unsafe’ in the future, and maybe within a relatively short period of time. 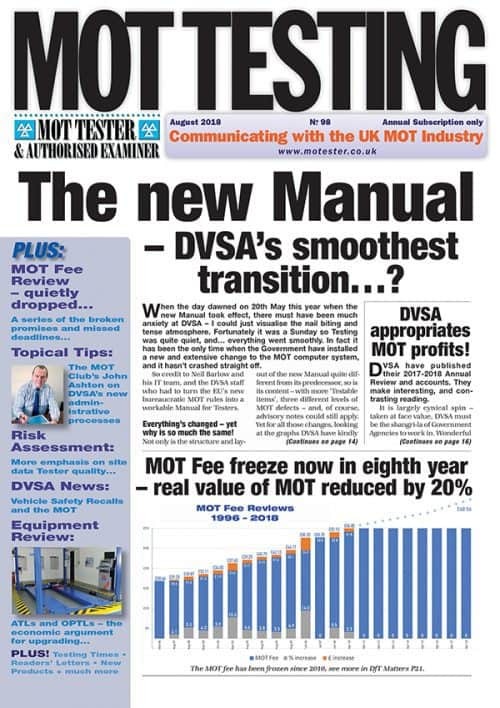 Whilst, due to the difficulties that Testers and Testing Stations sometimes have with VOSA’s disciplinary system, they see MOT advisory notes as a way of covering themselves against future disciplinary action, that’s really only a secondary factor. 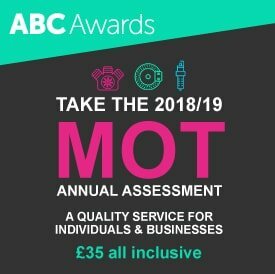 The advisory items are there for the benefit of motorists, providing a crucial bridge between the benefits of an MOT inspection, and the value of a ‘full service’. 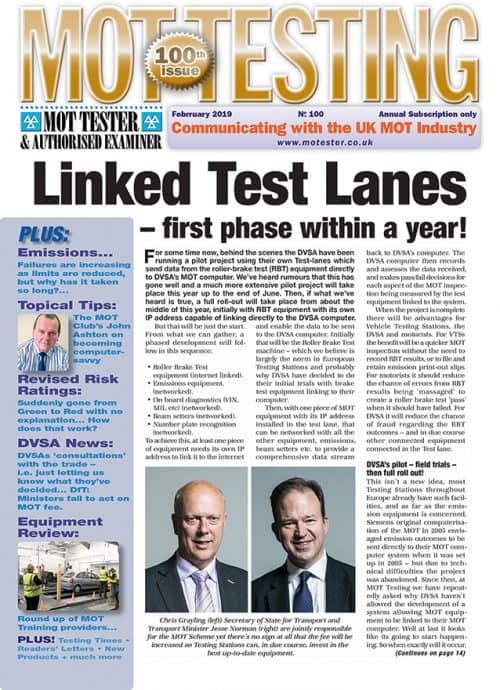 “…help motorists know how long wear and tear items such as brakes and tyres are likely to last after an MOT Test”. Now that could raise no end of issues and problems… a real can of worms! Hi I wanted to you know, I am getting my contingency code at least 2 days after they are sent to me. Of course no good by then.